When travelers decide to book flights to Canada, one word usually comes to mind: cold. In most cases, this is very true. Toronto however, is as far south as the French Riviera and has four seasons that vary in weather. Packing largely depends on when you are planning your visit. If you have already picked your travel dates it will be easier to know what to expect. Average temperatures and precipitation for each day of the year are listed on all over the internet. However, there’s no way to know exactly what the weather will be. You should always pack an umbrella in case of rain and some extra warm clothes in case the weather turns cold. Always check the weather forecast before your trip. 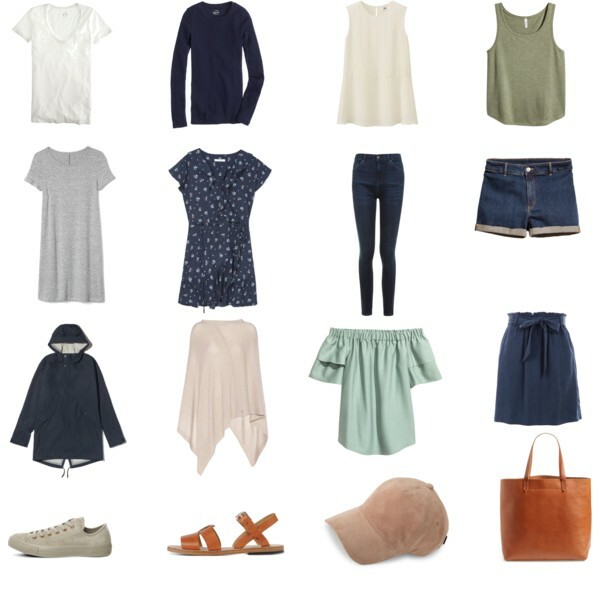 Once you’ve researched the weather, you can focus on creating a travel capsule wardrobe, which should easily fit in a carryon suitcase with the help of packing cubes to compress your clothing. Remember, Toronto is one of the world’s most diverse and multicultural populations and more people live in Toronto than in Canada’s four Atlantic provinces combined. It is busy and diverse. You could wear an array of mismatched clothing and there is bound to be someone who thinks you’ve found the newest trend. If you are not planning on doing any trekking or camping up north, stick to comfortable city wear. November- March, usually the days are rather cold and windy so a good winter jacket, winter boots, wool toque, scarf, and mitts or gloves will keep you prepared for the weather outside. 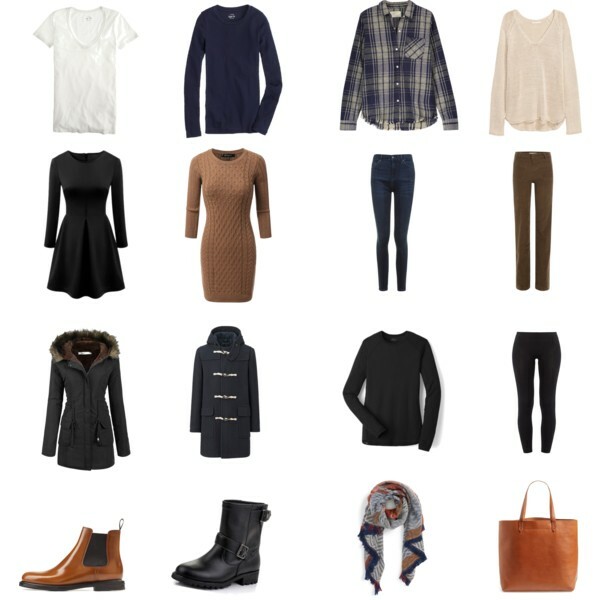 Leggings are great to have as well to wear with the long sweater on warmer days or under jeans/trousers on cooler days. A couple short and long sleeve shirts are great to have for the warmth of the indoors. As long as you are dressed for the weather and bring layering clothing, the cold will not deter you from any adventure. By mid-March to May, spring is in the air and the transition to more outdoor society can be seen. Layering clothing is still very important for the daily change in temperature. By May, the temperature is very comfortable and jeans, leggings and trousers are all worn with an array of tops and light jackets. In spring, boots are phased out and more airy shoes are worn. Sport sneakers are mainly worn only with athletic wear. Toms are a great shoe to wear with all outfits and are comfortable and light to travel with (I own 4 pairs). May through August, pack mostly clothing for fairly hot weather, but be sure to bring a light jacket, sweater and long pants for evenings (and for shopping in malls and dining out, as the air conditioning can make it very cool). Shorter shorts and tank tops are okay and common to wear and dresses are light and flowy! Sandals are the shoes of choice! Again, don’t forget your umbrella as summer brings rainfalls often. Here are comfortable walking sandals that are stylish, too. September and early October are fantastic weather months, often at very warm temperatures and little rain. again, layering is very important. Fall can be felt in the air by mid-October and the leaves start to turn. The switch from shoes to boots are made through September/October. November is often a cool and rainy month in Toronto and heavier jackets should be packed. Toronto is known for its shopping so whatever you need is readily available for you. 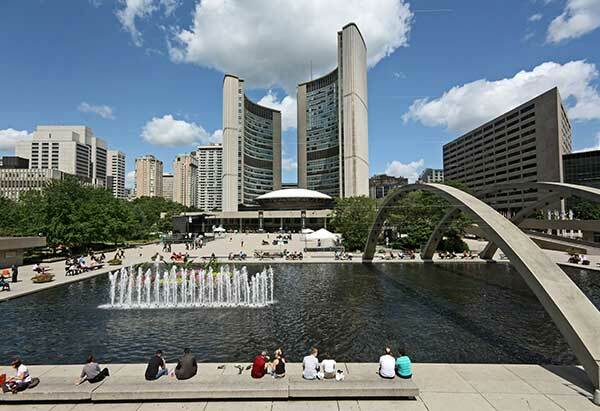 Don’t forget to also check out the Toronto shopping guide for your visit to Toronto! What are your packing tips for Toronto? Share in the comments below! Hope you enjoyed these packing tips for Toronto! Please share this post with your friends on Facebook, Twitter, and Pinterest. Thanks for reading! I’m going for 7 days to Chelsea Quebec….tomorrow. I guess very similar to T.O. Weather. I have 6 pairs of shoes and I’m not sure which to take and sweaters? 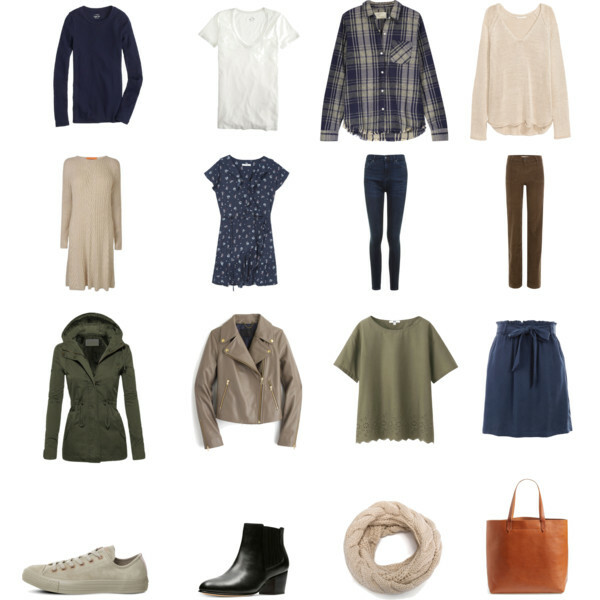 Also…how to mix/match. I have 50lb max.on plane. I don’t know the difference between Toronto/Ontario Canada. I’m going to Ontario Canada for 5 days. Sept.26-30th. Does this call for winter or summer clothing? I’m lost with what type of clothes I should pack. Help! Thanks for your comment Thelma! It is really a toss up that time of year! Some years it is cold and snowing at that time, and some years it is summer-like. 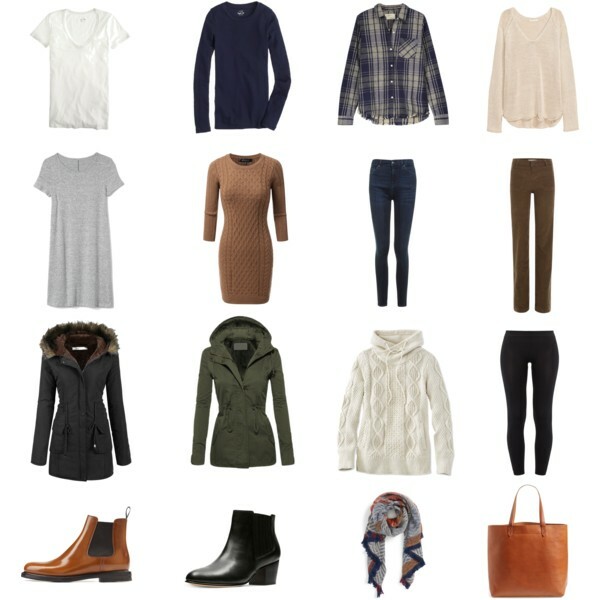 I’d prepare for multiple climates This post may help a bit more: https://travelfashiongirl.com/shoulder-season/ Safe travels! I lived in Ontario all my life and never experienced snow in September, so I’m not quite sure where you got that idea from. September can range from being extremely hot and humid to cool. One day you can be in shorts and a t-shirt and the next you may need a light jacket. It does not snow in September in Toronto, nor in most of the rest of Ontario ! Weather is usually warm during the day, and often a bit cooler evenings. Rain is always possible. There have been some years when snow does hit in September unfortunately! Better to be prepared! Thanks for the input though! Definitely important to check the weather when you’re traveling! Happy travels! I would go with a mix. Canada can be ‘coldish’ on summer evenings, but California hot during the days. Great article! I just want to correct one thing – you say in most cases “cold” is very true to describe Canada but that is simply not true. Most Canadians live within 100 miles of the US border so our temperature is really not that different from yours, unless you’re heading way up North! In fact yesterday (April 20) it was 82 degrees here in Calgary! Going to Toronto this June with a good friend. 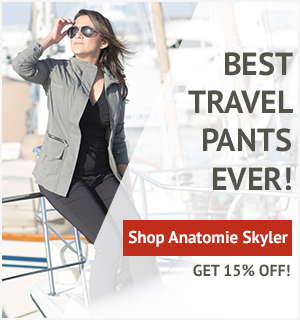 Thanks for the wardrobe advice! I live in a city about 40 minutes south of Toronto. This list is good, but I’d avoid the plaid shirt pictured above, otherwise you’d be confused with the “hipster” crowd. Also, our summers are really insanely hot, but I wouldn’t wear short shorts in Toronto, unless you are at the beach. Basically think what you’d wear in any large metropolitan city like New York or Paris – business casual, nothing that’s worn out looking, new-looking shiny shoes. In winter you’ll want warm, but fashionable boots. The best place to get appropriate boots or other footwear for Canada is Aldo Shoes. People in Toronto dress up more than in smaller cities, but they usually aren’t flashy and wear a lot of black or other subtle colours. They also usually don’t wear flip flops except at the beach. In winter you need a warm coat, hat, gloves and scarf, but otherwise dress how you would in any cool place like New York in winter. Thanks for the tips Susan! Thank you. I am heading to Toronto this weekend, catching a Jays game, and probably lots of walking about. Like your advice for city wear.